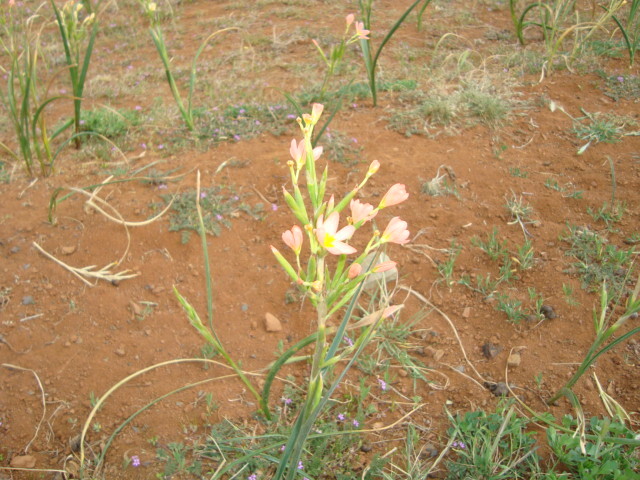 In August 2012 I went to Nieuwoudtville, on a Spring Flower Tour. 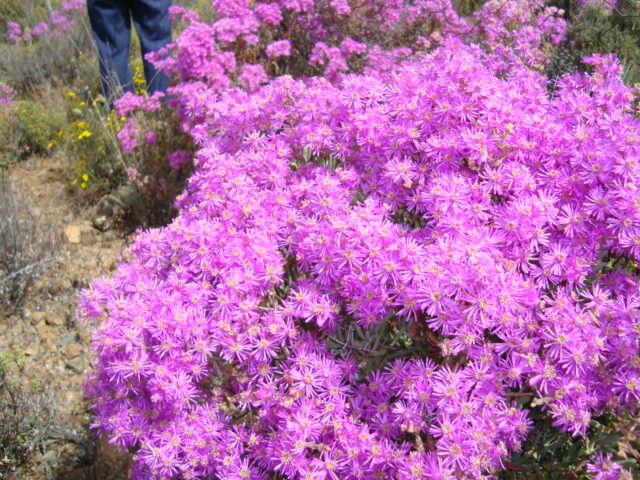 Nieuwoudtville is remote, an outpost in the vastness of the Northern Cape famed for its annual Spring Flowers. It’s isolated, although it does have small towns like Vanrhynsdorp within a 100km radius, little dots of humanity dotted on the arid landscape. 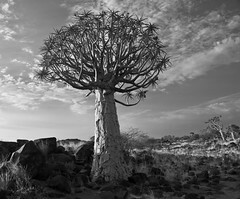 The Northern Cape is the largest of the Provinces, it might appear to be a vast semi-desert but in fact it has 5 regions ranging from coast to desert to plains – see links. We drove into the last town in the Western Cape: Vanrhynsdorp My first impression wasn’t a good one. The sky was a lowering grey, a nippy wind swirled round the Caltex filling station where we stopped to refuel, only to discover the garage wouldn’t accept a fuel card – consternation all round. While our driver argued with the petrol attendant, we all drifted around the forecourt, saw a drunk lurching unsteadily towards us, ignored a woman sitting on the pavement huddled against the wind and puffing on a cigarette – how is it that poor people always seem to find enough money to buy cigarettes? And booze. From my comfortable middle-class life, it seems incongruous, but as the saying goes walk a mile in the other person’s shoes before you criticise. My overall impression was of an ugly, impoverished small town but on the return journey, when the sun was shining, I noticed some trim and tidy buildings, no social derelicts, and the town looked altogether different. Amazing what a bit of sunshine can do! Leaving Vanrhynsdorp we crawl up the van Rhyns Pass 950m+ giving us aerial views over the veld and vlaktes almost to the ocean – it’s like flying! How that road was constructed over the mountain in the early 1900’s beats me – what an engineering feat. 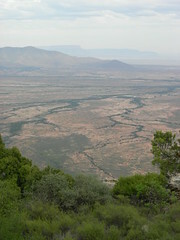 Once we reached the top of the Koue Bokkeveld Mountain we passed into the Northern Cape Province. It’s vast, mostly arid and empty. For instance, our guide at the Hantam Botannical Gardens told us that research shows there are 8 porcupines per square kilometre in the Northern Cape, outnumbering the number of humans per square kilometre! The reason for the proliferation of porcupines is the abundance of bulbs that grow in the area. Porcupines love to eat tubers, and the veld in the bulb areas was pitted with small holes dug out by hungry porcupines in search of dinner. They’re nocturnal beasts, seldom seen during daytime, and famed for their strong, sharp black and white quills which now appear in curio stores, decorating lampshades etc. etc. On the topic of sharp & prickly: we visited the Quiver Tree Forest, and as the pic shows, it’s an arid area, with endless vistas. 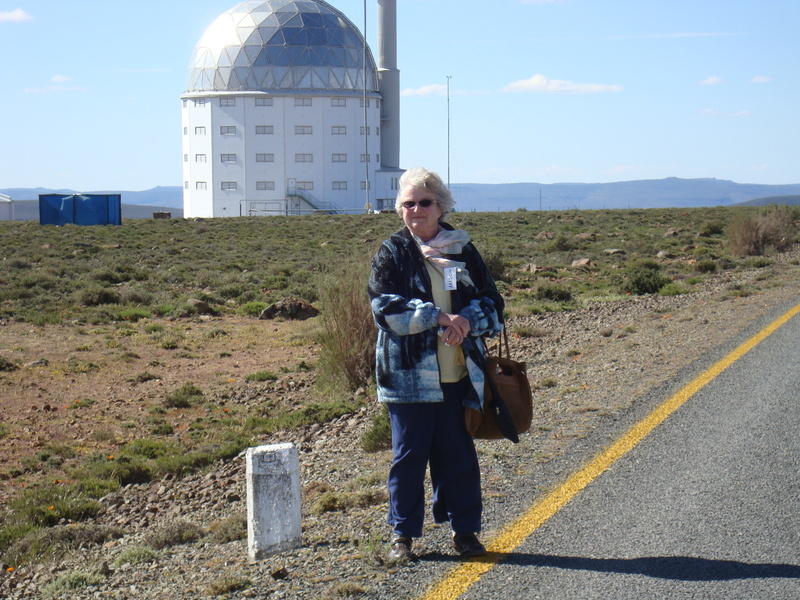 I had long wanted to visit Sutherland to see SouthAfrica’s massive optical telescopes, and the fact that Sutherland is a remotetown situated in the Great Karoo made it a doubly attractive destination. InOctober 2011 I managed to get there, by joining a U3A (University of the 3rd Age) coach trip, with 59 other members, shepherded efficiently by the genial, unflappable Derrick Rule, master organiser. On the whole I’m not a fan of organised coach trips, however on this occasion, I thoroughly enjoyed myself. I had the good fortune to have a friend from the West Coast Writers’ Circle, Pauline Campbell, as room-mate at the Sutherland Hotel. Most of the photos in this post were taken by Pauline and are indicated (PC). If the photo is over-exposed and not tagged, it was taken by me. 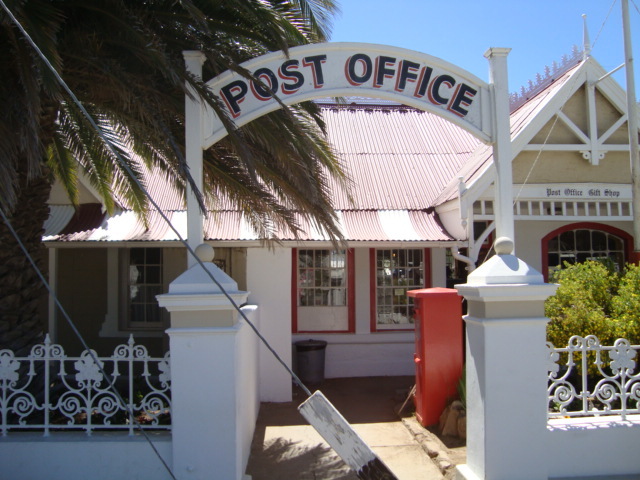 Wikipedia says (in part) : Sutherland, 2,840 inhabitants, lies in the western Roggeveld Mountains in the Karoo. 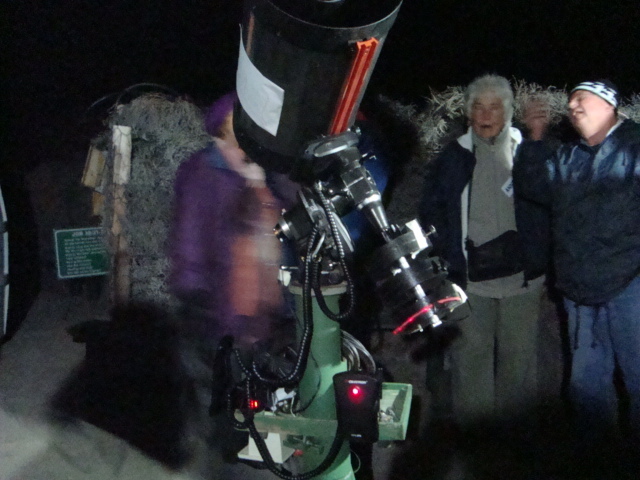 Sutherland’s arid climate and remote location 1,450 metres (4,760 ft) above sea level make its night skies among the world’s clearest and darkest. The telescopes of the South African Astronomical Observatory are nearby .These include the Southern African Large Telescope (SALT), the largest single optical telescope in the southern hemisphere. 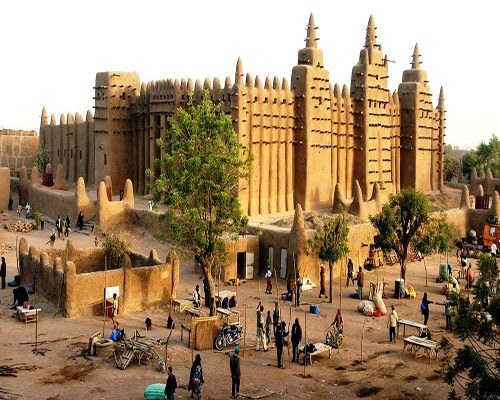 Major economic activities include tourism and sheep farming. 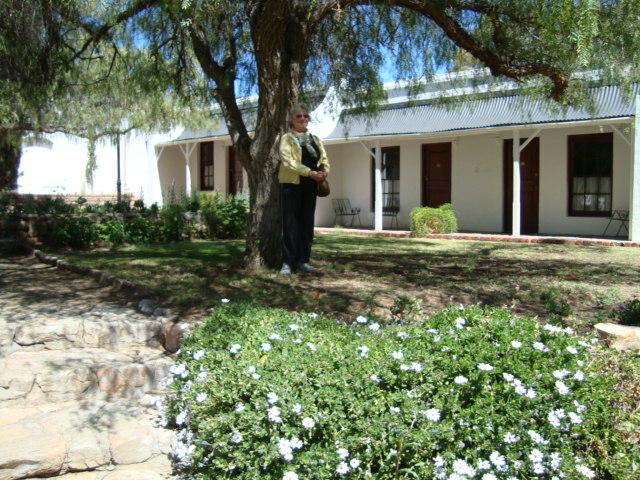 An NGK Dutch Reformed church in Sutherland was built before the Anglo Boer War. 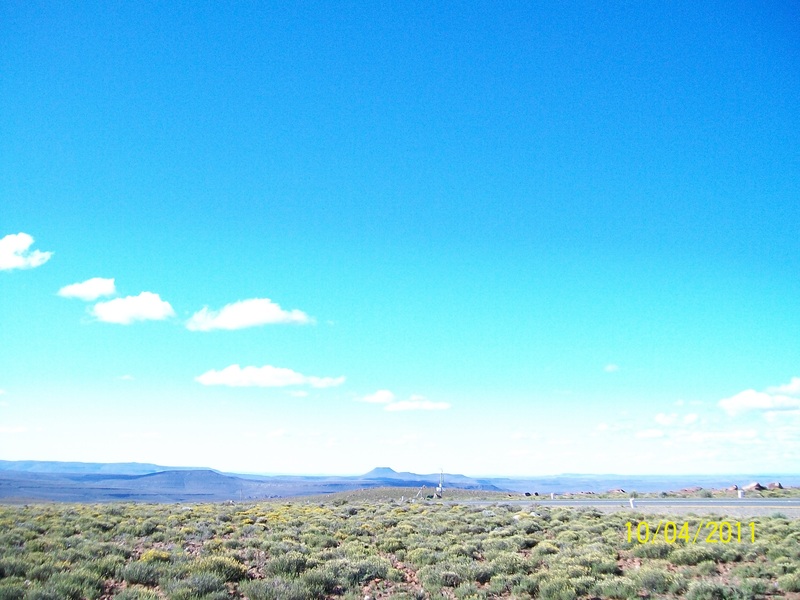 Suffice to say that Sutherland is a very clean, very quiet little Karoo town with the cleanest, clearest air. The scenery is magnificent, the people friendly, the food is hearty country cooking – we ate like kings. 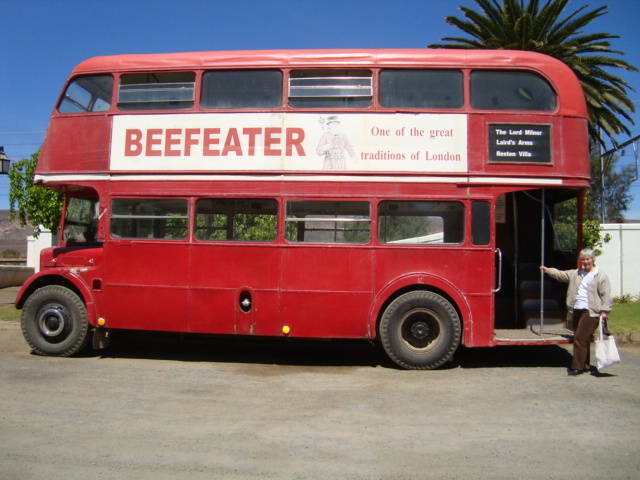 We lunched at the historic Maatjiesfontein Hotel on the up journey and on the way back to Cape Town. The photos will tell the rest of the story. 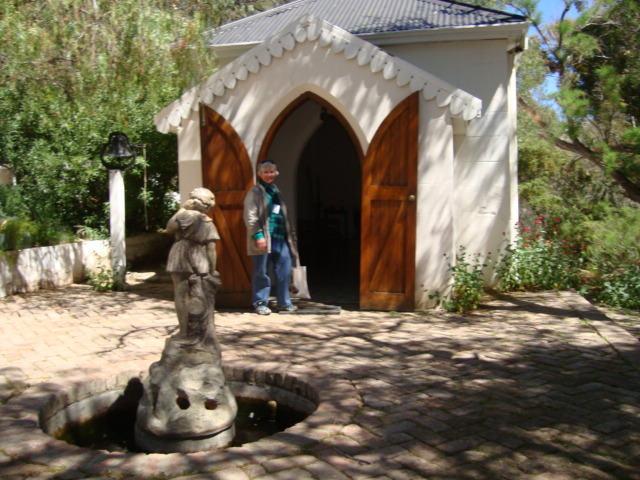 Pauline outside the pretty little Victorian style chapel at Maatjiesfontein; a popular venue for weddings.